I was intrigued by this book’s premise, and at the same time, I resisted it. Who wants to read a book about a girl who lost her mother in a tragic accident…and feels responsible for that? For me, Shattered by Melody Carlson was kind of like the sad thing you can’t look away from. I signed up to review the book because I teach high school girls, and I hoped to find a book to recommend to them. But I was intrigued by the tale, and at the end, I got the redemption I longed for. This was a hard story – not rose-colored, life is good and fun and easy, everything always goes well. But you know what? In life, it doesn’t. Teens know that – they see it, they sense it, they see it at home, at church, or in their friendships. What better place to read about coping with tragedy than from a Christian perspective? A little bit about the author: Melody Carlson has written more than a hundred books for all age groups, but she particularly enjoys writing for teens. Perhaps this is because her own teen years remain so vivid in her memory. After claiming to be an atheist at the ripe old age of twelve, she later surrendered her heart to Jesus and has been following him ever since. Her hope and prayer for all her readers is that each one would be touched by God in a special way through her stories. For more information, please visit Melody's website. 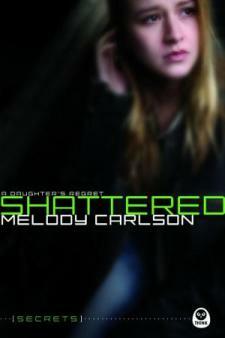 I've always liked Melody Carlson for fiction…glad she's still writing YA stuff. I don't believe I'm familiar with the author, which is surprising to me--I read a lot of this kind of stuff as a teen. Then again, I'm one of those weirdos who considers Dostoyevsky light reading. ;) I'll check out this book since you recommend it. And just for the record, I love that you're sharing with us what you're reading!